We wrapped our arms around California’s new Building Energy Efficiency standards in Installment I of the Countdown to 2020. In this installment, we take a closer look at how these 80,000 annual additions to the solar pipeline (based on historical averages) will more broadly impact the California solar market. Regulations are seen as burdensome to business because they force changes in operations and profit margins. They restrict. Hoops to jump through. The inclusion of solar within the California Energy Commission’s 2019 Building Energy Efficiency Standards might feel this way to homebuilders. One more thing to do. One more cost that could hurt a sale. Maybe permitting and interconnection delays cause additional headaches. On the other hand, this mandate instantly puts homebuilders in a position to install the lowest cost PV systems in the country and control a huge portion of the California residential solar market by 2030. Maybe an overstatement, but it’s a scenario that’s in play. Within those categories are a range of possibilities, and in the report, NREL analysts modeled two bookend pathways: a “less aggressive” new construction model and a “visionary” model. The less aggressive pathway assumes PV installers will be installing traditional racked and mounted PV modules and will be loosely affiliated with homebuilders, installing solar on at least 25 percent of the homes in a typical subdivision. 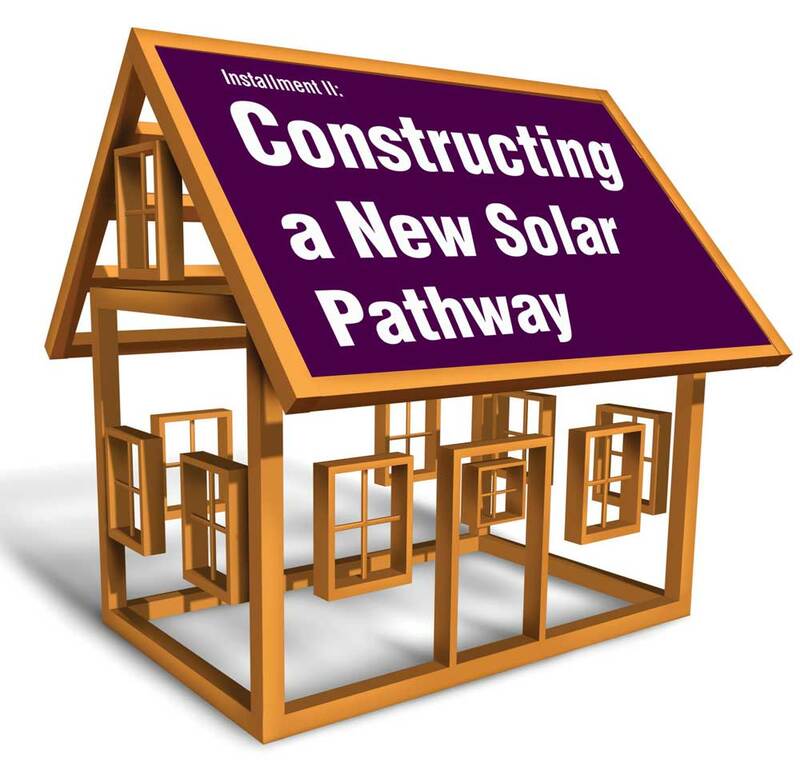 NREL sees this new construction pathway hitting $1.62 per Watt and 7.2 cents per kWh by 2030. The visionary pathway assumes a low-cost roofing/PV product that is integrated into all home designs, leading to $1.10 per Watt. That would be 59 percent lower than the 2017 Q1 benchmark and is the only pathway NREL can foresee hitting 5 cents per kWh. Well, starting in 2020, California is already set to outpace the less aggressive pathway by requiring all new homes to include a solar componenent (versus 25 percent). Even if California’s new build sector still only achieves the less aggressive pathway pricing, it still dwarfs the 2017 Q1 benchmark of 15.1 cents per kWh. That NREL analysis was a map to hit 5 cents per kWh by 2030, but we aren’t even in 2020 yet. So, what can solar installers expect right off the bat? Like Mond, he sees large homebuilders relying on the scale and resources of larger solar companies while smaller homebuilders are more likely to partner with long-tail solar installers. National installers already make up 30 percent of the residential installations in California while sporting much higher CAC (about 70 cents per W compared to 40 cents per W for long-tail solar installers). Not only will that CAC number drop because of new home business, but the larger homebuilders they are likely to work with present even more potential for cost reductions and efficiency gains within the new home solar channel. Looking at the NREL analysis again, a portion of the homebuilder’s potential pricing advantage (versus a roofer) comes through the economies of scale realized when integrating PV into the permitting process for an entire subdivision (although the researchers admit this could be one assumption of the analysis that could fall short due to construction timelines, project sizes and workforce management). These potential economies of scale would most benefit the largest homebuilders, which will likely be working with the largest national solar installers. 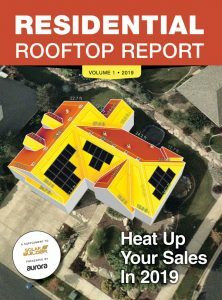 As this new construction solar market develops and as these innovations in business models and technology emerge, will the traditional retrofit solar installers without key homebuilder partnerships be unable to compete? Plus, while homebuilders are driving CAC into oblivion, solar installers can coast behind them to gain their own soft cost reductions on the retrofit side. Mond tells us the California solar mandate is likely to increase demand in the retrofit market as further market penetration will make customer acquisition easier. Economies of scale, competition and an increased number of installations have helped drive down the cost of solar over the past decade. The 2019 Building Energy Efficiency Standards will add about 800 MW of additional solar capacity from 2020 to 2023 — 200 MW per year on average. This is more than a 23 percent increase from the 858 MW of residential solar deployed on mostly existing homes in 2017. So, could a new build market drive component costs down further? “Increased volume for existing distributors and manufacturers can certainly allow companies to spread overhead over a larger inventory, so there may be a marginal decrease in pricing but we expect that effect to be small,” Davis says. Marino doesn’t think it is likely that prices will move as a direct result of the mandate, noting that the predicted increase in demand is a relatively small number relative to overall projections. There is also a sentiment that component prices don’t have much further to fall. However, a solar market that is driven more by homebuilders, roofers and, most importantly, the priorities of their customers, could shift the direction of the components used within these installations. Then there is the question of quality. The type of homebuilder and the end-homebuyer involved will have an impact on the type of PV systems that are deployed and maybe the product innovations that are pursued. There are two prevailing paths being predicted in the new build market right now: One of homebuilders pursuing the most basic, low-cost systems to appease the mandate and keep their costs as low as possible, and another where homebuilders use this opportunity to rethink designs and build more robust, energy conscious smart homes. CALSSA, which played a big role in drafting these requirements, does not expect this policy to have an impact on system quality, although the reason why still seems to prove the same point, that new builds might lean toward the most price-conscious options available. While there is a lot of innovation and integration that needs to be figured out among the homebuilder and solar communities, the California solar mandate all but guarantees that it will happen because the market now demands it. “Solar companies are innovators by nature, and it will be fascinating to watch new models of financing and ownership,” Davis says. Some of this still feels like 2019 thinking. Today’s components might not reduce much more in price, but will we still be installing today’s components in a few years? That NREL visionary pathway does assume aggressive reductions in hardware and soft costs driven by new technologies, services and business models. Putting our 2020-colored glasses back on to see the world in which solar is the norm for new homes, a future emerges that is more focused on solar roofs and other BIPV innovations. We will look at this possibility in our next installment. The Countdown to 2020 series is sponsored by QuickBolt.